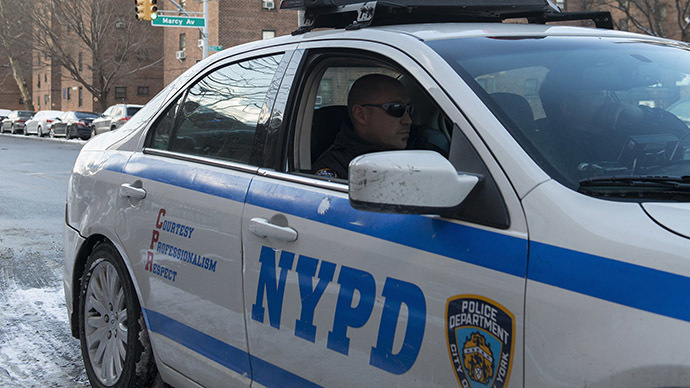 While complaints against New York City police are dropping, video and audio recordings are increasingly substantiating civilian complaints about officer misconduct. Prosecutions remain low, however, according to the city’s police watchdog group. The Civilian Complaint Review Board (CCRB) received more than 4,700 complaints in 2014, representing an 11 percent decrease from 2013, when people filed more than 5,300 complaints of police misconduct. The decrease in complaints, the report found, is the due to a decrease in law enforcement interactions with the public. When the police were conducting excessive stop-and-frisk encounters, complaints were higher – more than one in four of the complaints were over improper stop-and-frisk searches. "We are sympathetic to the officers who have been forced to do things that the Police Department should have known was wrong," Richard Emery, chairman of the CCRB, told The New York Times. He was speaking about when, under the Bloomberg administration, the NYPD engaged in record numbers of stop-and-frisk encounters before a federal court found the policy unconstitutional for primarily targeting minorities. The 110-page CCRB report said that in cases where the CCRB conducted full investigations, about 37 percent (or 716 out of 1,917) were forwarded to the police department for misconduct allegations. In previous years, the rates were 17 percent lower. The CCRB claims it successfully mediated 182 cases in 2014, an increase of 38 percent. Noted in the report is the increasing use of civilian video and audio evidence to substantiate complaints of misconduct, to the point where the CCRB to can determine a police officer's statement was intentionally false. “In 30 cases, 13 of which were received in 2014, the subject officers provided statements about the incident which were contradicted by the video or audio evidence,” the report said. During CCRB investigations, the recordings were shown to the officers so they could reaffirm their initial false statement or recognize the inconsistencies. In one case, a civilian was stopped for riding his bicycle on the sidewalk. A bystander asked the officer what was going on and refused to obey their order to back way. According to the report, video footage showed an officer bringing a civilian to the ground, “kicking the civilian in the side while another officer was punching him." The video further showed “the officers kicked the civilian” in the head and hit him in the head multiple times with handcuffs. When of the officer was interviewed, he denied using the handcuffs or having anything in his hand while striking the civilian. The officer was shown the video evidence, but continued to deny striking the civilian with handcuffs, saying, "he couldn't see what the investigator was referring to when the handcuffs were pointed out to him." The agency found that, in 2014, there were 26 instances where an officer gave a false statement to investigators. "It is more likely now than ever that the officers' lack of truthfulness is going to be captured, documented, and that is the function of video," said Emery to NYT. "What we are trying to highlight is that when it happens, it should be taken seriously." The report found that 54 percent of the allegations were from African-Americans, even though they make up 23 percent of the population of New York. About 26 percent of the complaints were from Latinos, who make up 29 percent of the New York population, with 14 percent from Whites and 3 percent from Asians. About 58 percent of complaints from African-American were about stop, question and frisk – 5 percent lower than in 2013 – while 25 percent of Latinos, 12 percent of whites and 3 percent of Asians made similar complaints. "It's great to see the review board highlighting problems with Police Department practices, though, we don't share its rosy depiction of the department's disciplinary system," said Christopher T. Dunn, the associate legal director of the New York Civil Liberties Union, according to NYT.